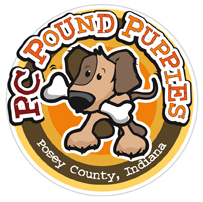 PC Pound Puppies is committed to matching the right dog to the right family. Our adoption process includes the completion of an application, an interview, payment of an adoption fee and possibly a home visit. The standard adoption fee is $150, but the fee can vary depending on the dog. The fee can be paid by cash or check (made payable to PCPP) or via PayPal.com using our email address of pcpoundpuppies1@gmail.com. You must be at least 21 years old to submit this application. PLEASE NOTE: Every question must be answered. You can use N/A if the question is not applicable to you. Knowing this before you begin completing the application may save you some time! Will the rescue dog be tied outside?